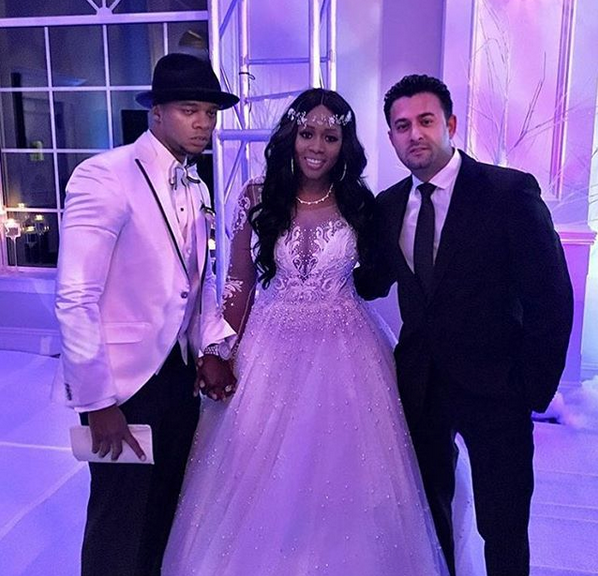 EXCLUSIVE DETAILS: Inside Remy Ma & Papoose's VH1 Wedding -- Celeb Friends, A FIGHT & More! "Love & Hip Hop New York" stars Remy Ma and Papoose are married...again. The couple originally got married inside of a courtroom in 2008. Remy and Pap told the story on the season 6 premiere this week and it involved a courtroom and a phone right at the beginning of Remy's prison sentence. Now that she's free over 6 years later, Remy revealed she wants a REAL wedding. 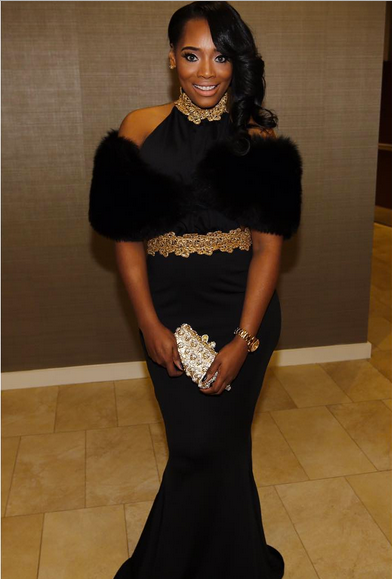 Her wish was granted as Remy and Papoose had an official "All Black Affair" wedding last night in Connecticut. Of course, the VH1 cameras were rolling (since they likely footed the bill). 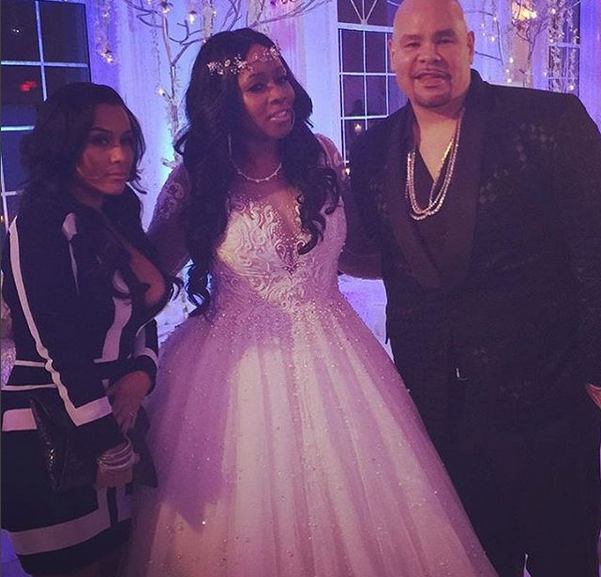 Rem looked pretty in a white cinderella gown as her Terror Squad homie Fat Joe was there by her side. We've got exclusive details on who else was there and the fight that went down. 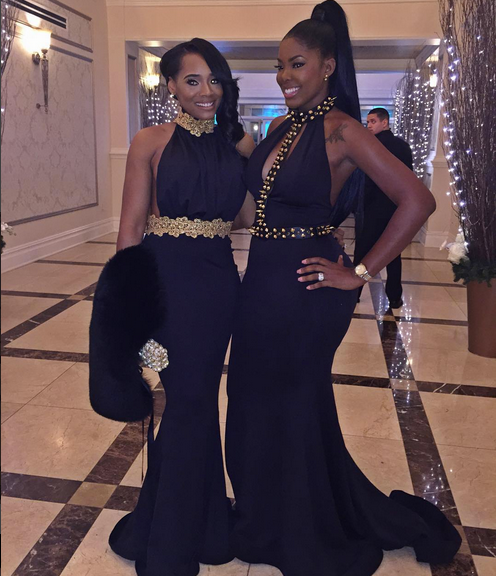 Yandy Harris (rocking a Duckie Confetti gown) and Cam'Ron's girlfriend JuJu posed it up inside the wedding. 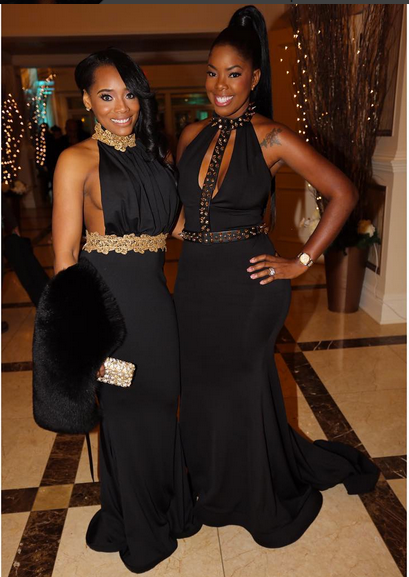 Remy's good fried Keyshia Cole was also there looking damn good in a Roger Rodney gown. 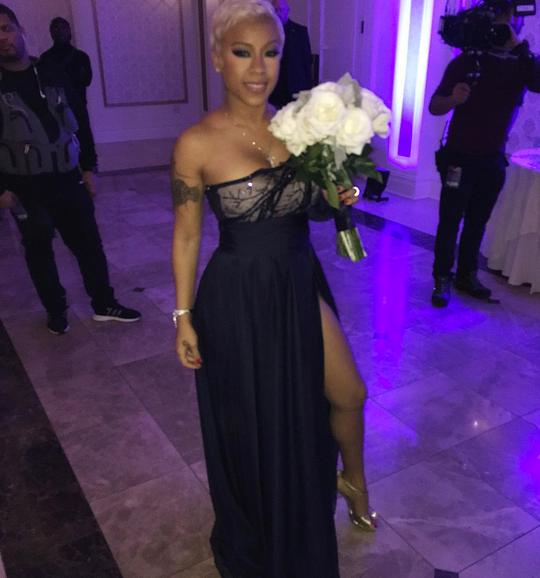 Keyshia, who served as maid of honor, offered best wishes to her friend on social media while holding a bouquet of flowers. Also in attendance: Fat Joe, Ice T & Coco, Mona Scott Young, and Peter Gunz and Amina. Remy and Pap's co-stars Peter and Amina cut ALL THE WAY up, we're told. As you know, from the premiere episode we saw that Peter "ended up" in bed with his "ex" and babies' mother Tara. We then learned Tara moved into the same building as Peter and his new wife Amina. Why Lordt?! 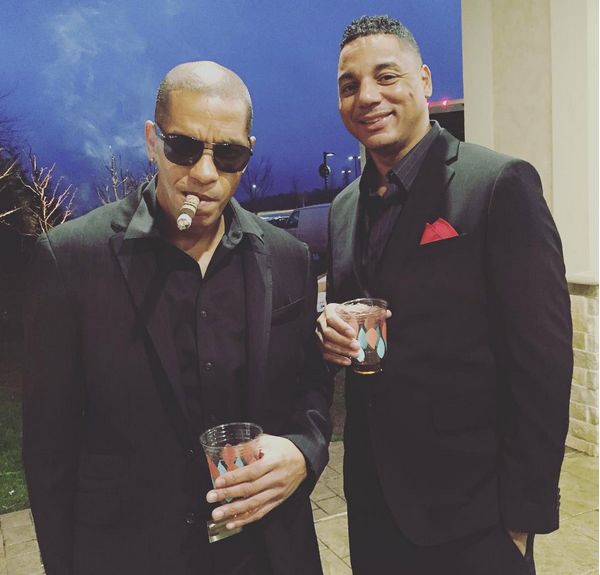 Peter (pictured above with co-star Rich Dollaz at the wedding) and Amina just had a new baby together last year. We've also heard from unconfirmed sources that Tara is now pregnant as well. That may explain why Peter and Amina got into a huge fight at last night's wedding! Our source tells us Amina yelled at Peter and said, "Why am I on birth control and why wasn't she?!" Yes, she was referring to Tara. Bloop! After the screaming match, Amina stormed off in a SUV! Our source tells us, "Rem and Pap got that unheard of black love going on and that's a blessing. But everybody else's sh*t is in shambles!" We'll see it all play out when this wedding airs on this season of "LAHHNY".